The parable found in Mark 4:26-29 describes the harvest principle. Do you understand its significance to Christian spiritual growth? In order to induce the setting up of the image of the beast, and to receive the latter rain, the remnant of the Third Angels Movement must reach the level of growth in their Christian experience signified in the parable by the ear. God intends to bring His true remnant to the stage of the ear and then the full corn in the ear and onto harvest ripe grain in the early watches of this new first generation. 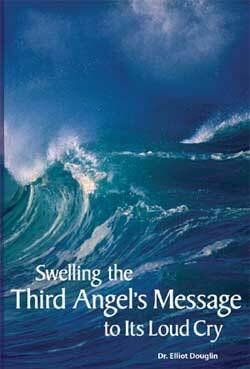 Do you truly desire to be among those who will give the final loud cry warning of the Third Angel? Then you need to know what is meant by the ear and how to reach this stage of growth in your Christian experience, and you must understand the meanings of the harvest principle and the generation concept and how they interact. What are the watches? If these are unfamiliar terms to you, this book is essential reading!